We are pleased to announce the tickets for this forthcoming fundraising event are now totally sold out. 50 people are booked in and all paid for this one off special evening of fine food and wines. We do however have just one table left for four people that we are offering in a prize draw. Located within the thick of the action the table is located in the kitchen. We are asking via our dedicated Virgin Money Giving Page for donations of £5 increments to get your name in our virtual hat. So a £20 donation would mean your name would be in it four times. 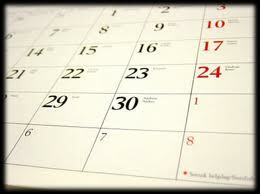 The dinner takes place on Thursday May 23rd at the Oaks Restaurant in the MidKent College Campus in Maidstone. Full details on the event can be found here. There will be a range of items also up for auction on the night and we are keen to raise significant monies to boost our funds to help with the restoration and cleaning of the church organ. You can also donate offline by seeing our trustee Tim Chapman in the Yalding Post Office where he will add your name to the list once a minimum donation of £5 has been made. The draw closes at 9:30am on Tuesday May 7th – the draw will be made thereafter and the winner will be notified. 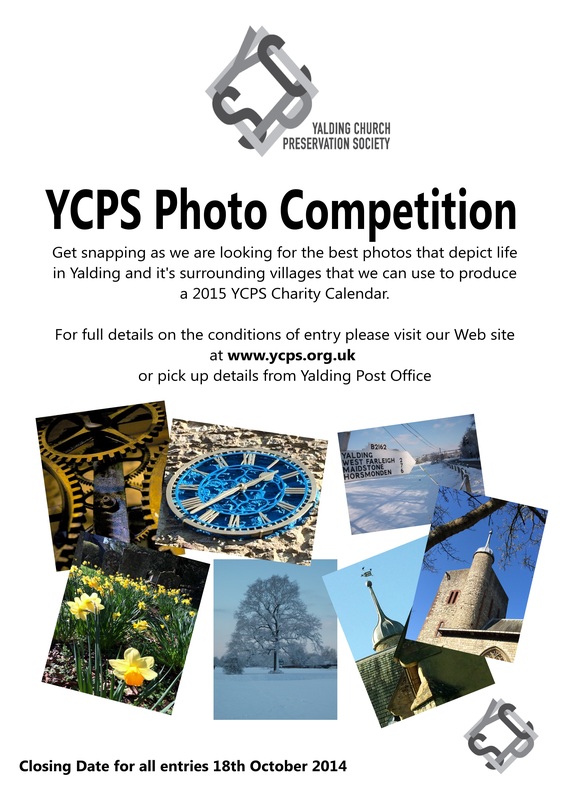 Categories: Events | Tags: Auction, donation, Kent Churches, Take6Chefs, Yalding Church, Yalding Church Preservation Society, YCPS | Permalink. For just a one pound donation there is every chance you could be in the draw to be invited to attend the Paella Dinner in the churchyard. 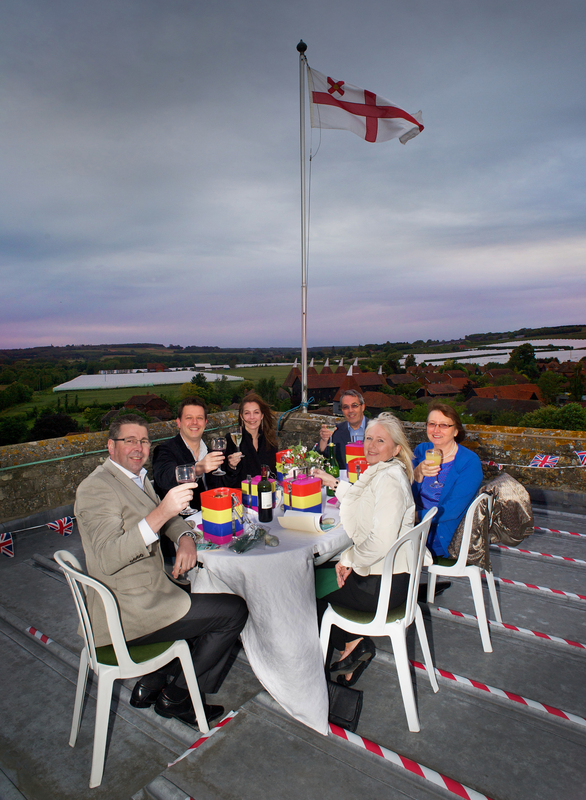 Three couples will then be chosen on the night to then have their dinner served on the roof! Please do share this special event as it is something really unique and we can promise a view that will make it a very special dinner! 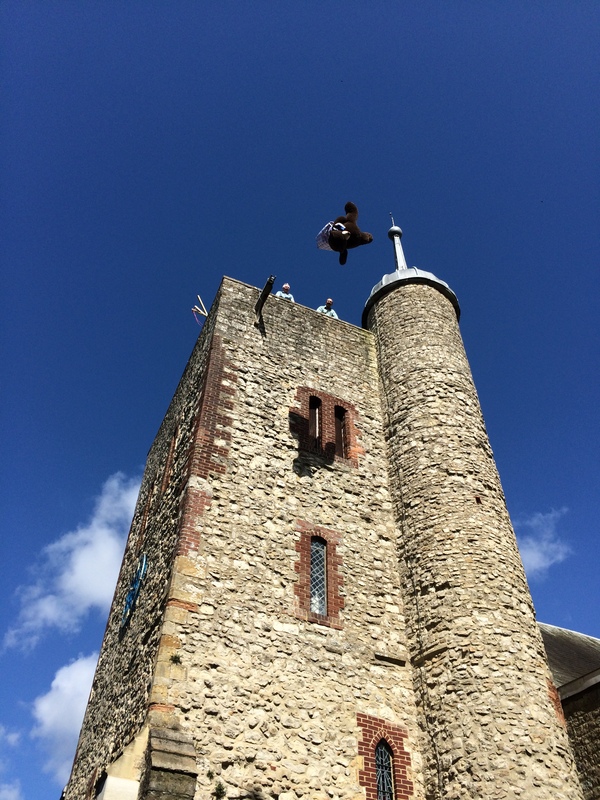 Categories: Events | Tags: Dinner, donation, Fundraising, Hari Covert, Kent, Kent Churches, Tower, Yalding, Yalding Church | Permalink. 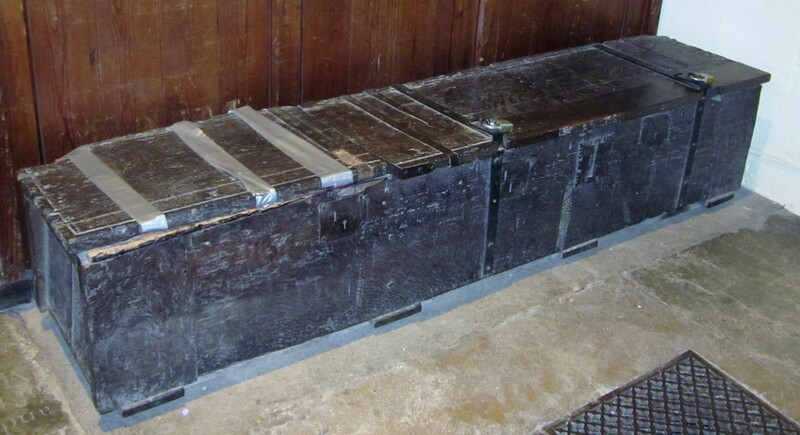 You may remember that in 2012 YCPS was responsible for the repair of the church chest at Yalding, which had been used for generations to store church valuables. This October, two dendrochronologists from Oxford (tree ring daters to most of us) visited the church to take samples of the oak from which the chest is made in order to calculate its age. There was some discussion when they came about where the wood had come from, including from as far away as the Baltic. 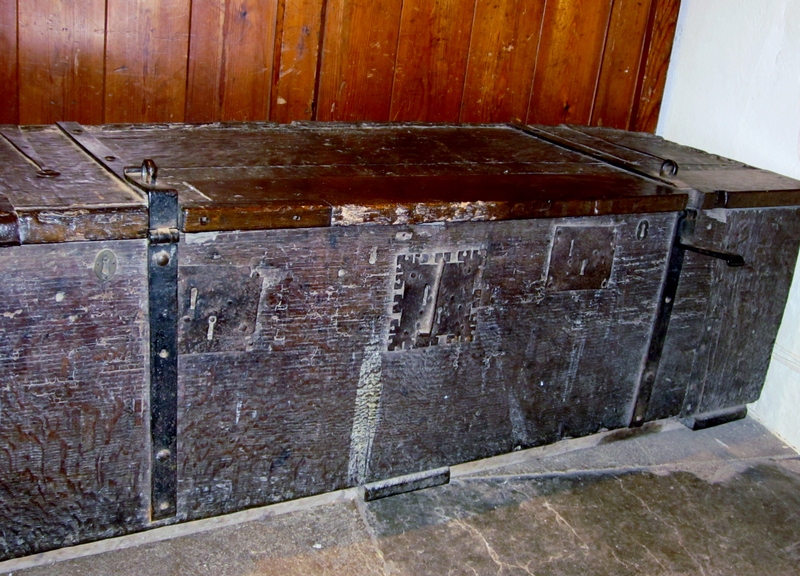 As it turned out, the chest was made from local wood, with a likely felling date range 1305–21. 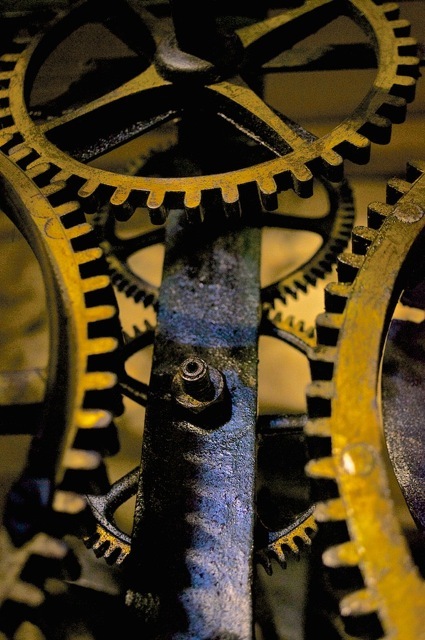 Wood was usually used fairly quickly after felling so we can confidently date our chest to the early 14th century. 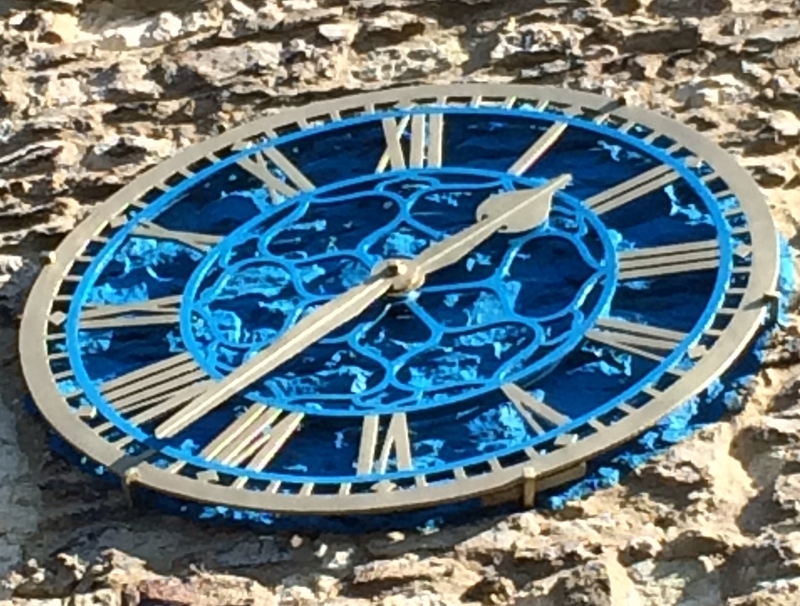 This is just one of the many projects that the YCPS has funded over the years and illustrates well the importance of the work we do in raising funds to support the fabric of the church. 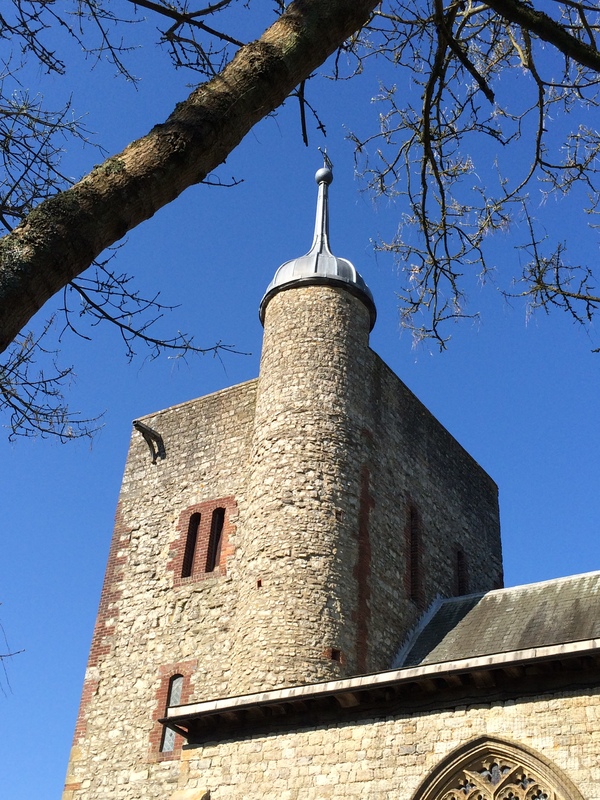 Categories: Information, Latest News | Tags: Calendars, donation, Fundraising, Kent, Kent Churches, Medieval Chest, Yalding Church, Yalding Church Preservation Society, YCPS | Permalink.